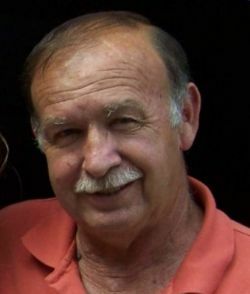 Benny Tolbert, 69, of Jonesboro, passed away Wednesday, October 10, 2018, at his residence. Mr. Tolbert was born in Jonesboro on July 1, 1949 to Junior Tolbert and Omalea Donnelley. Mr. Tolbert was owner and operator of Benny's Auto Sales. He was a member of Center Hill Baptist Church and was an Army veteran of the Vietnam War. Preceding him in death are his parents; granddaughter, Kristin Tolbert; brother-in-law, Jimmy Jones and Step-father, Bill Donnelley. Survivors include his wife of forty-seven years, Kathy Tolbert; daughter, Janette (Ronny Tucker) Tolbert; granddaughter, Katlyn Tolbert-Passmore; great-grandchildren, Connor Mathis, Kallie Passmore and Gunner Passmore; brother, Bobby (Marianne) Tolbert; and sister, Susan Jones. Funeral services will be Friday, October 12, 2:00pm, at Roller-Farmers Union Funeral Home with John Travis officiating. Pallbearers include Billy Brickey, Norman Jennings, Sonny Fowler, Allen Lackey, Heath Sanders and Lonnie Weston. Honorary/Active Pallbearers are Dennis Lemons and Victor Hutcheson. Burial will follow at Union Grove Cemetery. Visitation will be at the funeral home Thursday, October 11, from 6:00pm – 8:00pm.